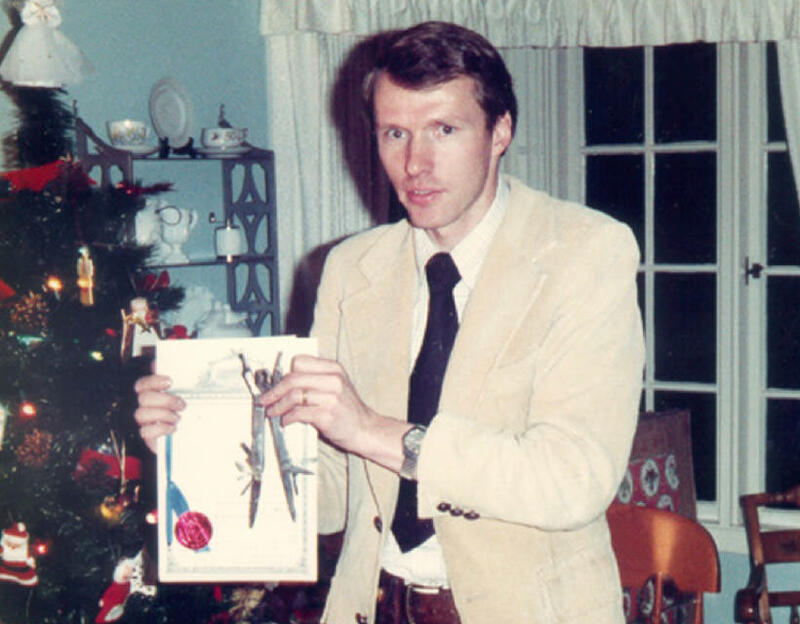 The story of the Original American Multi-tool inventor, Tim Leatherman. Tim Leatherman (an Oregon native) received his Mechanical Engineering degree from Oregon State University. 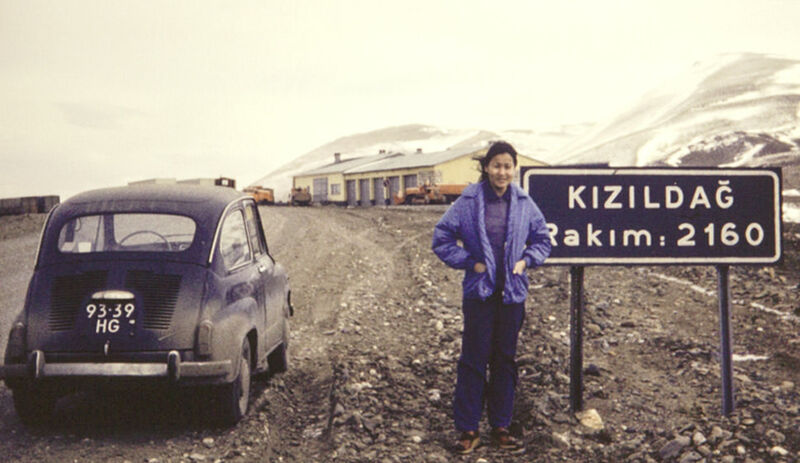 While on a budget trip to Europe in 1975, Tim and his wife Chau constantly came across leaky hotel plumbing and road-side fixes for their cranky Fiat. 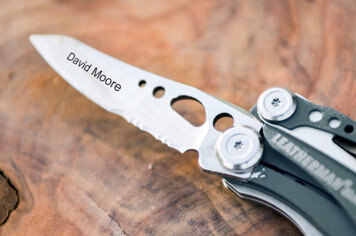 Tim realized the need for a pliers based, multi-purpose tool. 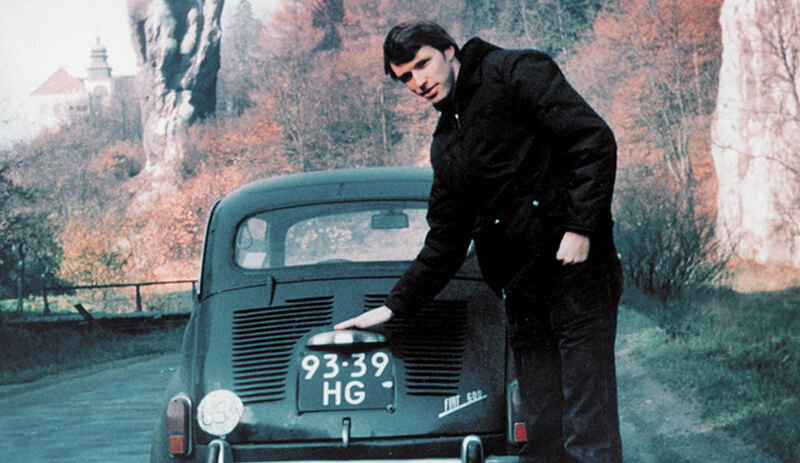 "I was carrying a scout knife and used it for everything from slicing bread to fixing the car. But I kept wishing I had a pair of pliers!". When Tim started on the prototype for this new tool, he estimated it’d take him a month. Instead, it took the next three years to build the prototype he envisioned and file for a patent. With the patent application and prototype in hand, he set off to sell his idea. Unfortunately, the companies he approached didn’t bite. 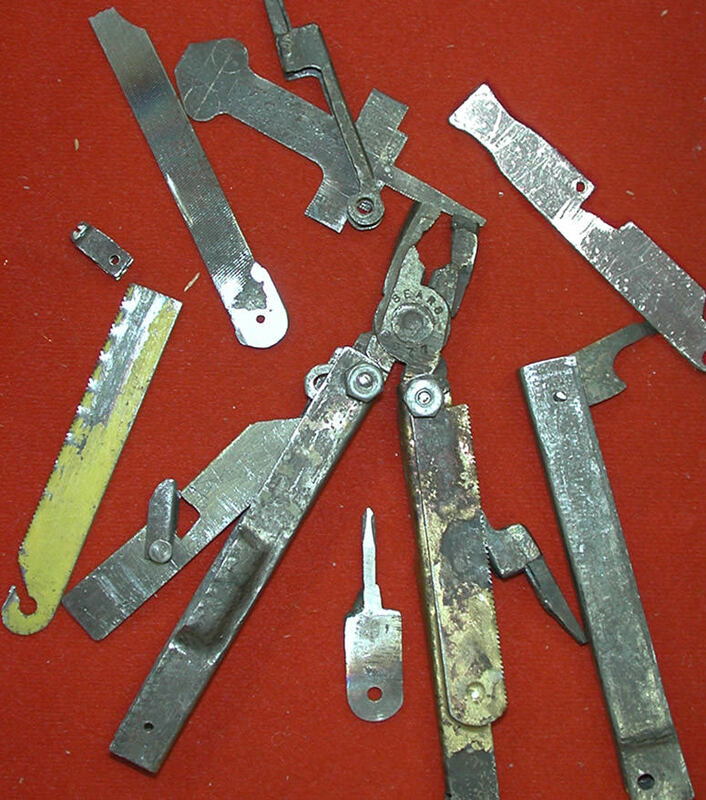 Knife companies thought his invention was a tool, and tool companies thought it was a gadget. Neither were interested. 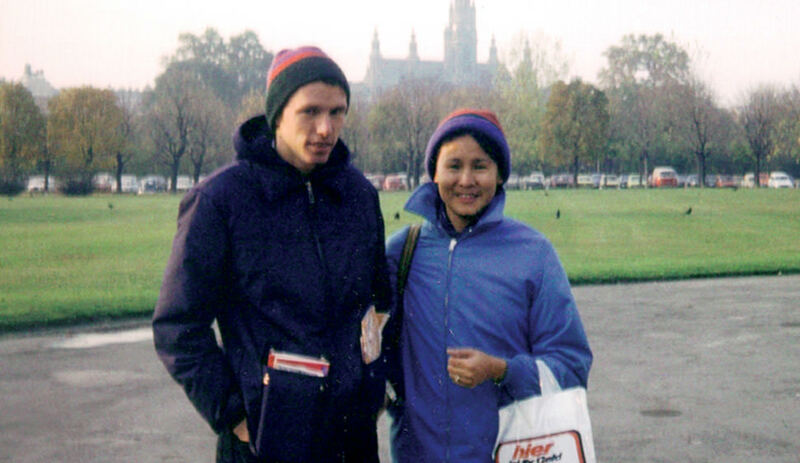 For another three and a half years, Tim faced one rejection letter after another. 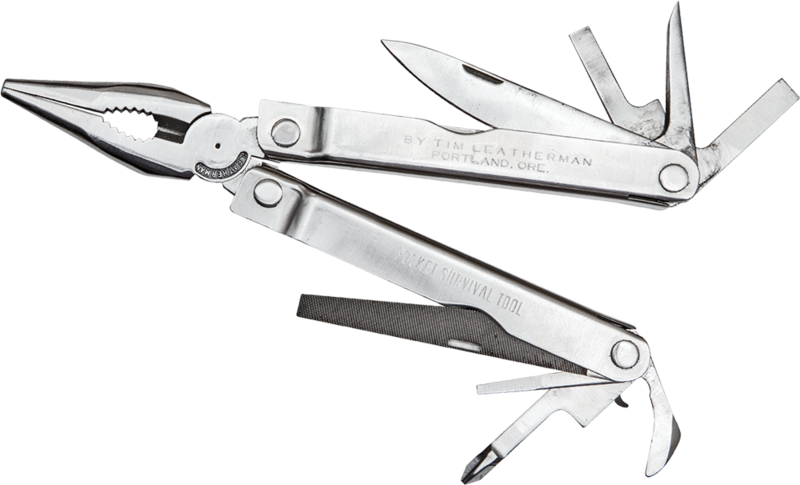 Until he partnered with his college friend, Steve Berliner, and in the spring of 1983, they received their first order for 500 tools from Cabela's and launched the first Leatherman tool. 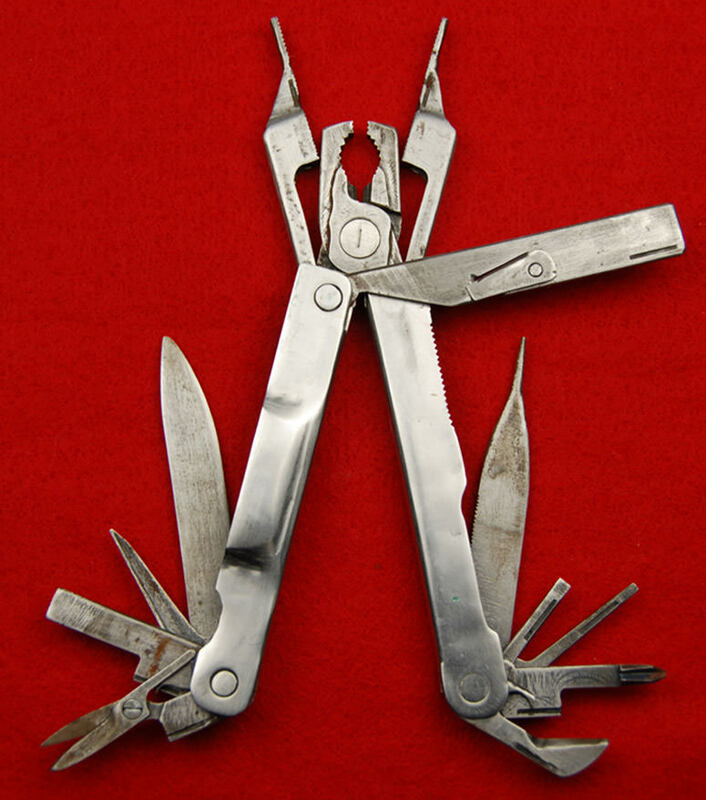 Explore the photos below see more of Tim’s journey from his garage to the birth of the Leatherman multi-tool. 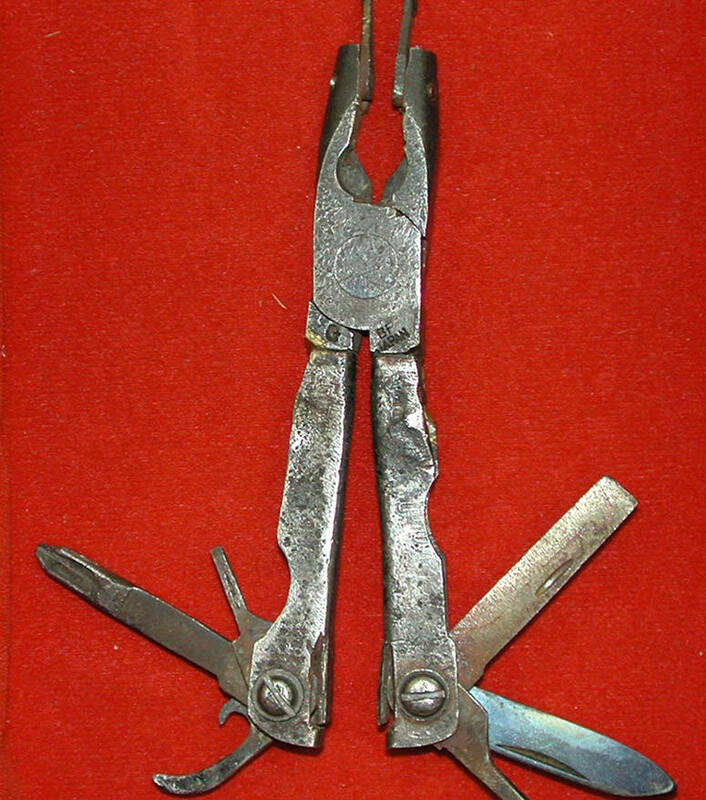 The idea of a pliers-based multi-tool came to Tim while travelling across Europe. When he got back to the states, he hunkered down in the garage and started building his new invention, starting with cardboard mockups. 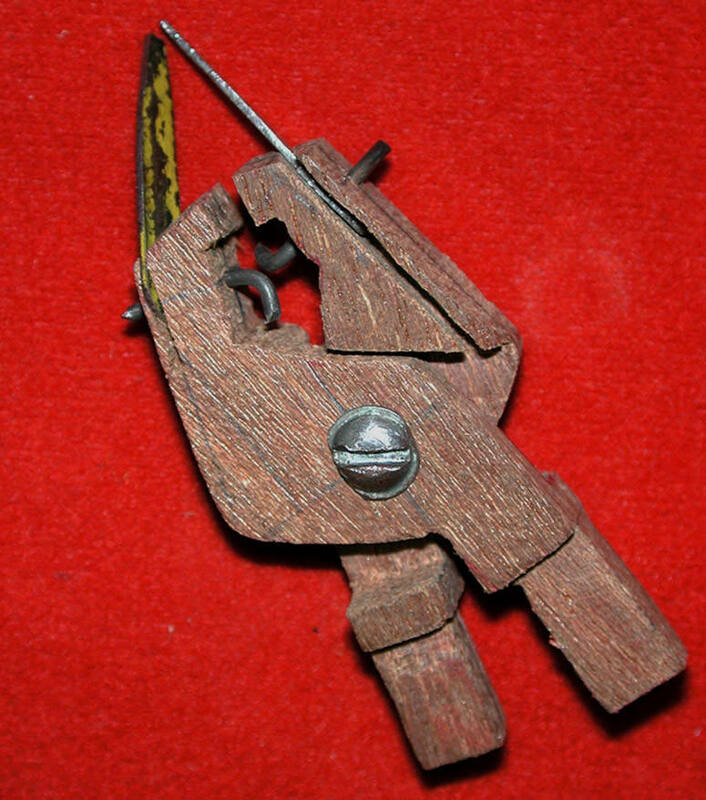 From there, he began to prototype parts with wood carvings. Pictured above is one of the many iterations he made to perfect the tool. Next came prototypes made from metal. As you can see, the idea of storing away features are starting to take shape in Tim’s models. 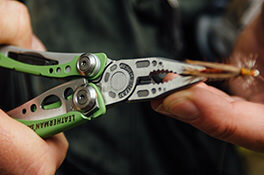 The prototype above was a significant milestone in the journey of the multi-tool. 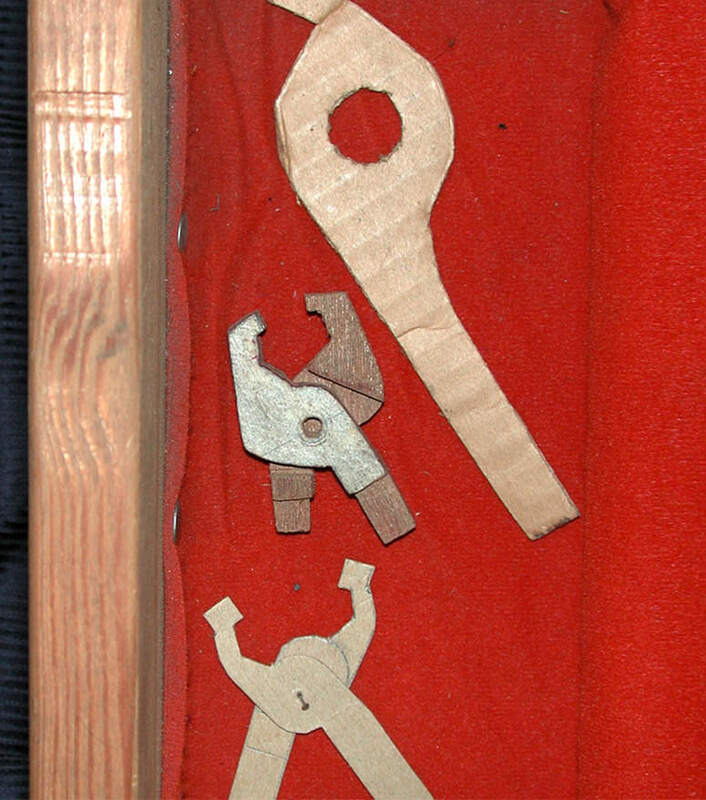 This represented what Tim originally had in his mind, incorporating folding handles into the tool. But he wasn’t done yet. 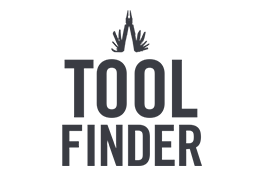 Even though Tim was well versed in the engineering of the tool, manufacturing parts out of raw materials was a different discipline. So Tim studied, absorbed, and experimented around the clock. 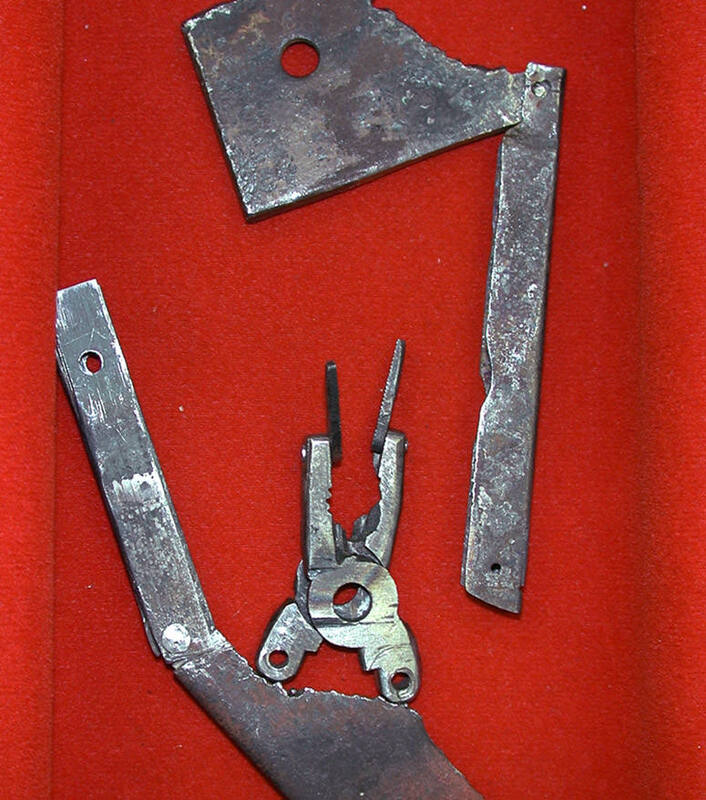 Above are some early prototypes of the jaw mechanism with the folding handles. 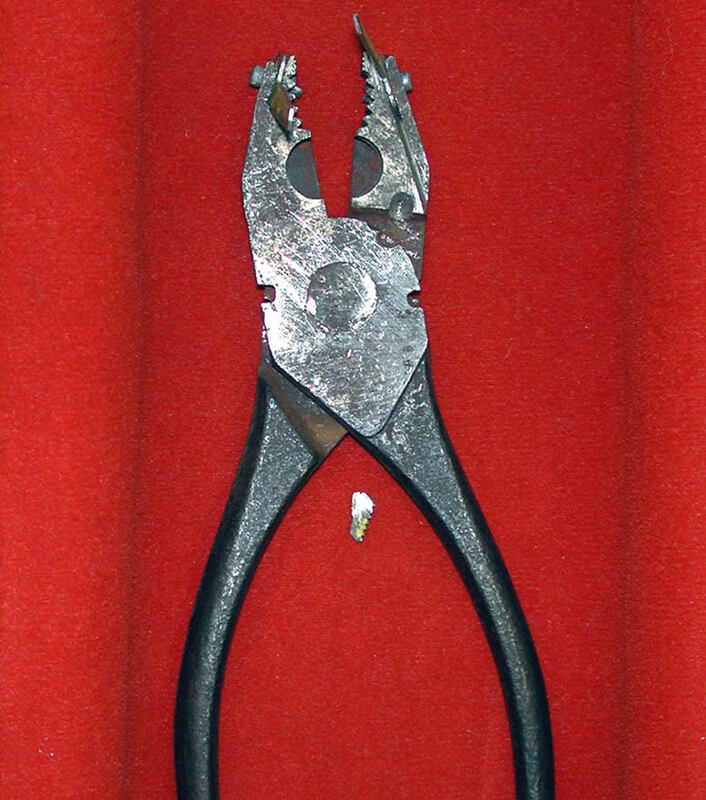 The original design of the jaws featured a two-stage design: regular blunt-nose pliers and needlenose pliers that slipped over the regular jaws when in-use. When not in use, they stored right into the handles. 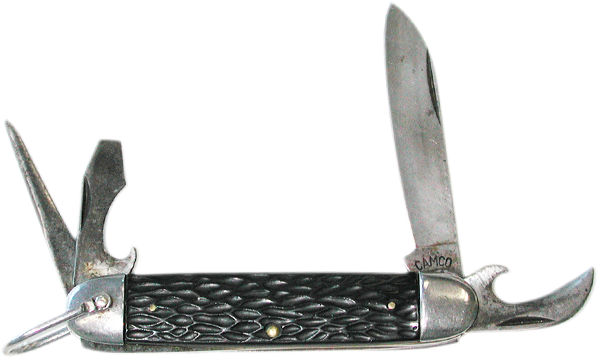 Another complex component of the original design was a hacksaw blade that doubled as a locking bar in case you needed a vice grip! 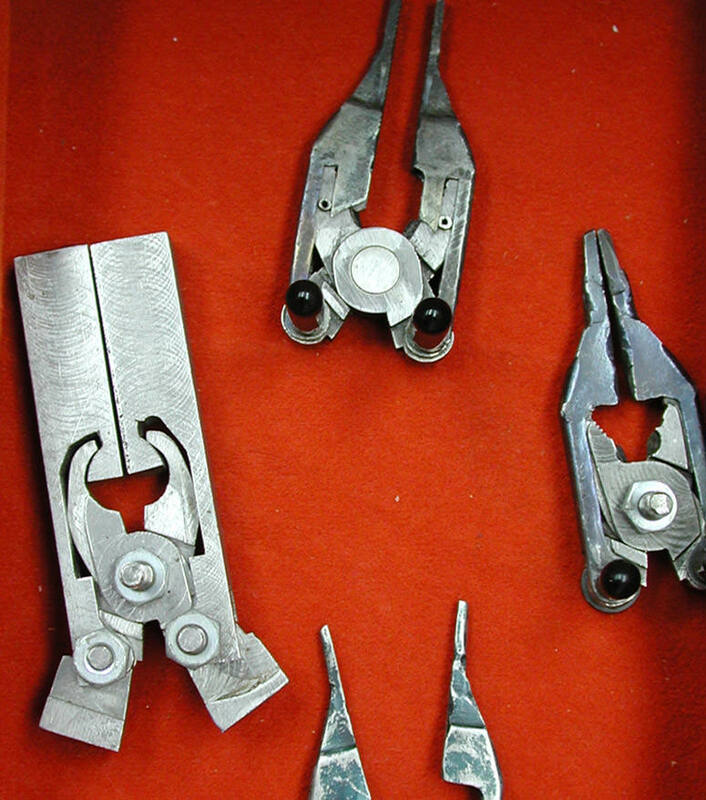 These are just a few of the many iterations Tim went through to perfect this tool feature. After three and a half years, Tim finally shaped the initial prototype that would grant his first patent: 4,238,862. Tim called it Mr. Crunch. 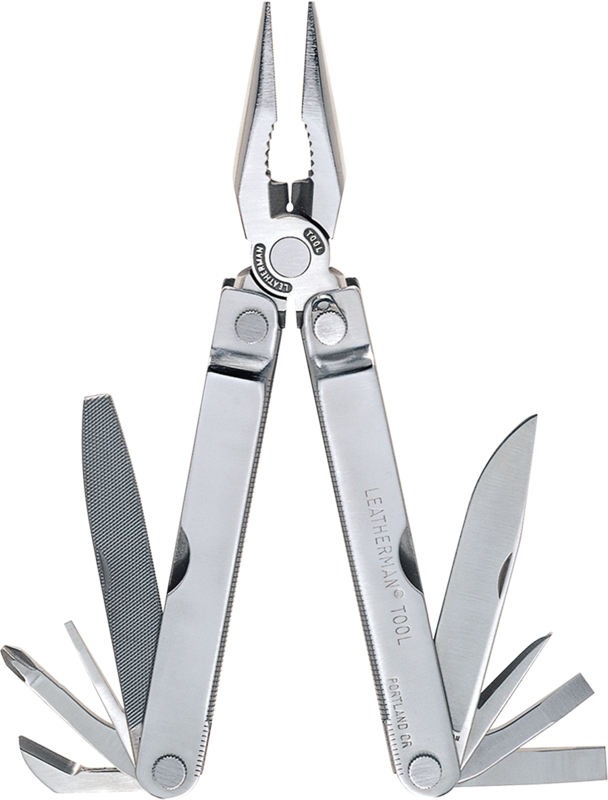 Fun fact: our Crunch multi-tool is the only Leatherman that can be used as a vice grip, so it bears the name of the original prototype! 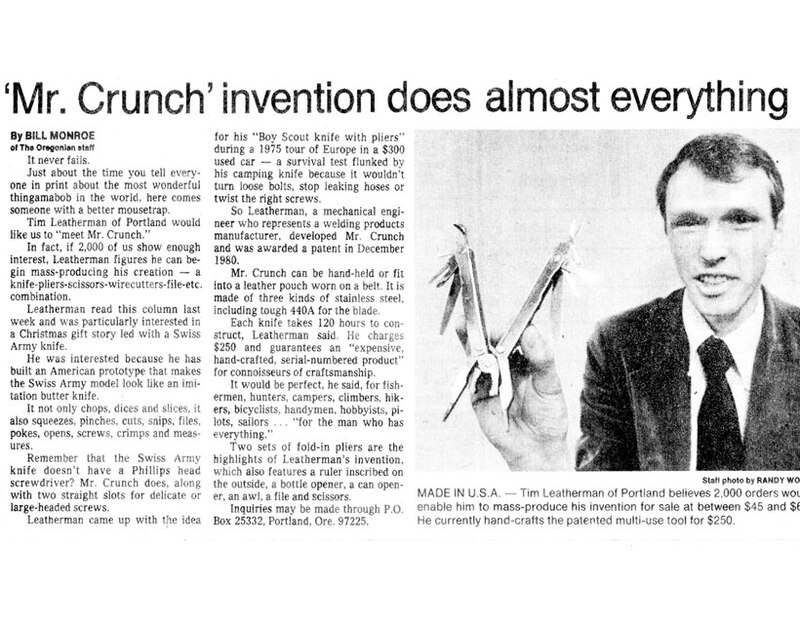 With Mr. Crunch in hand, Tim set out to pitch his prototype to companies around the United States. And though it was interesting, no one put it on their shelves. 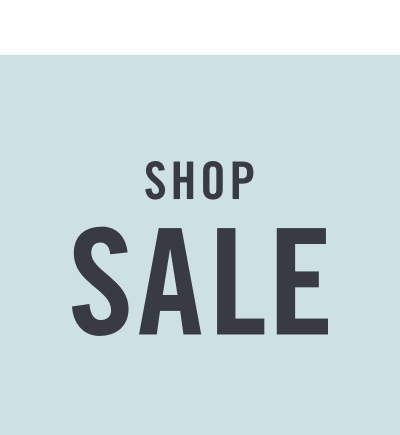 That is, until Tim and Steve met with a mail-order catalog company, and they gave Tim invaluable feedback. 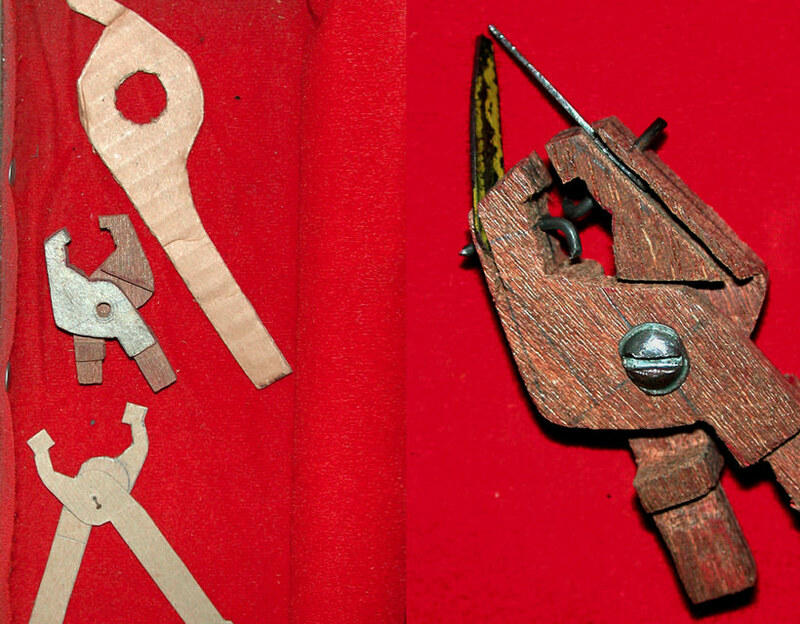 He took the feedback and went to work again, refining the pliers mechanism and simplifying the design. 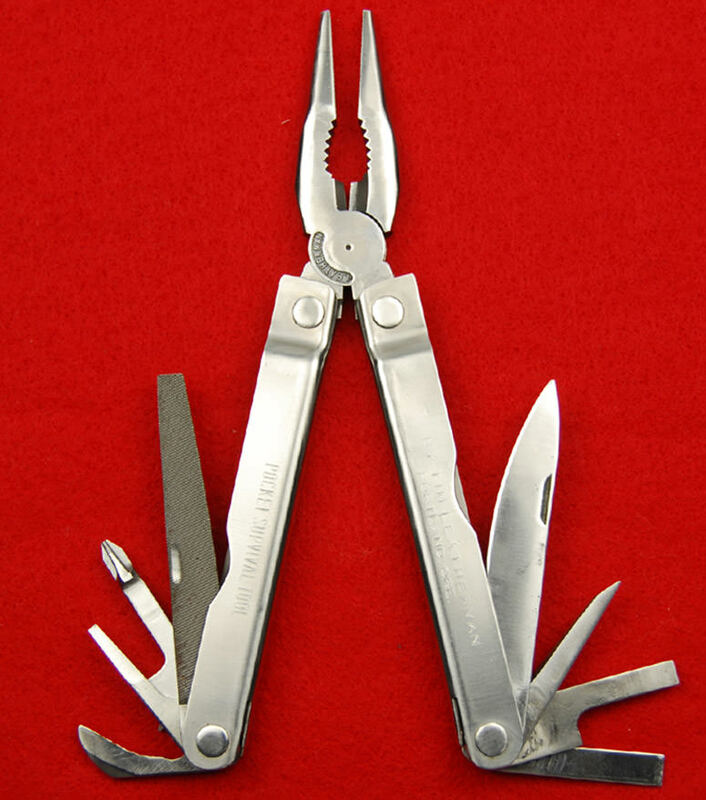 A few months later, an order was written, the PST went into production and Leatherman Tool Group, Inc. was born. Under one roof in Portland, Oregon, we embrace that same innovation, drive and dedication today. No matter the challenge or task at hand, we refuse to give up. 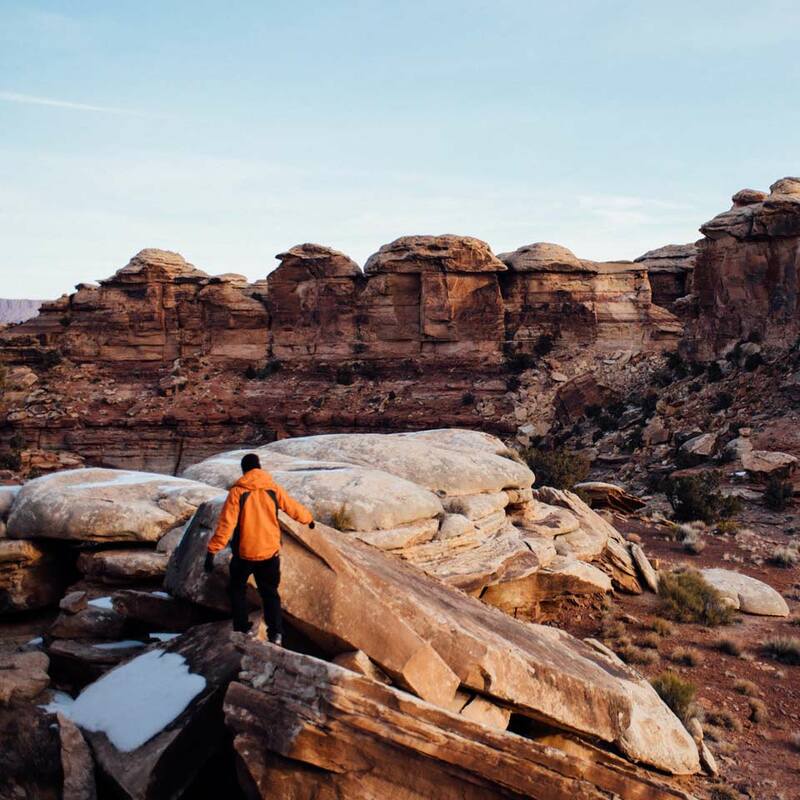 Like Tim, and the people we build our products for - the builders, workers, problem solvers, pioneers and adventurers - we too are doers. And we won't stop until it's done, and done right. 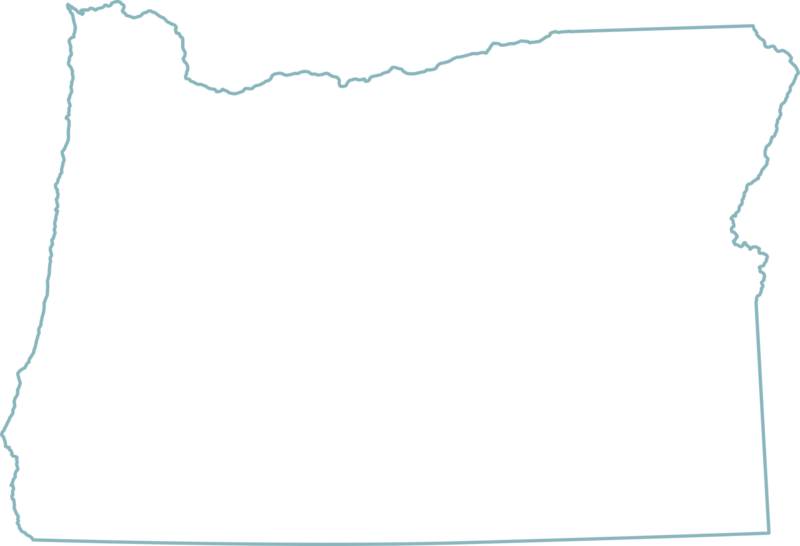 It's what makes us proud to be Oregonians. 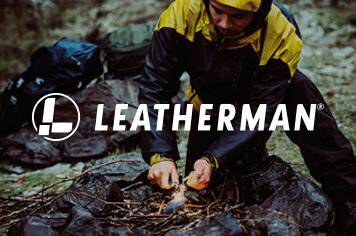 And it's what makes Leatherman an American brand. 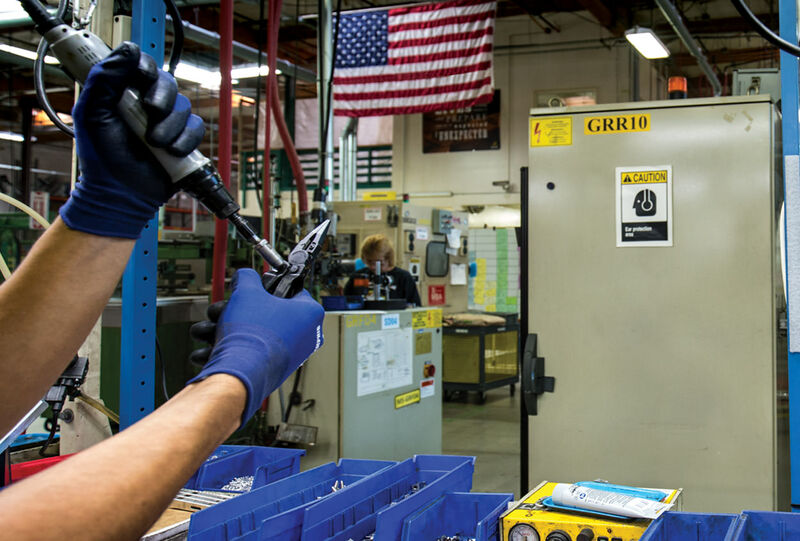 We build and manufacture all of our tools in Portland, Oregon. And when it’s time to put our tools through their paces, we test them in the great Pacific Northwest. 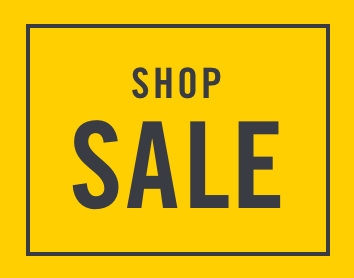 From hiking in the rugged Cascade Mountains, fishing off of the beautiful Oregon coast, or exploring the high desert in the east, we ensure our tools are reliable for any adventure or task, big or small. 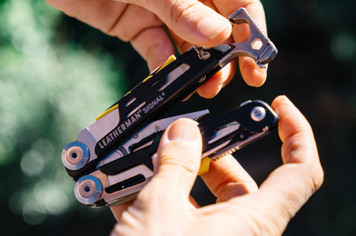 We invite you to try our tools for yourselves, or read people’s stories of saving the day with quick-thinking, their own two hands, and a Leatherman.